Life often likes to throw the unexpected at you. By having appropriate insurance protection in place, you can reduce the effects these obstacles can have on your financial situation. As a Chartered Independent Financial Adviser Firm we can look at the whole market to get you most appropriate cover. Below are examples of just a few of the policies we can arrange for you. If you have any concerns about your insurance cover, please call us on 0330 123 0135 to arrange a free no obligation insurance policy review. For more information on insurance, please give us a call for a free initial insurance consultation. An insurance policy that pays out a lump sum in the event of your death. Will usually cover you for a specified term. A policy that plans to pay out a lump sum on diagnosis of a specified critical illness. Will usually cover you for a specified term. A plan that aims to pay an annual amount to your family in the event of your death. Will usually cover you for a specified term. A policy that aims to pay you an income when you cannot work due to the result of an illness, injury or accident. Will usually cover you for a specified term. “He worked well with my self and wife and offered great options re: life insurance. He is defiantly the person I will go back to in the future, if I need any other financial advice. These are just some of the varied and often confusing forms of insurance. 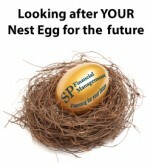 At SP Financial Management we aim to guide you through this complex arena and can help you put appropriate plans in place.